Budgeted amounts entered by themselves? 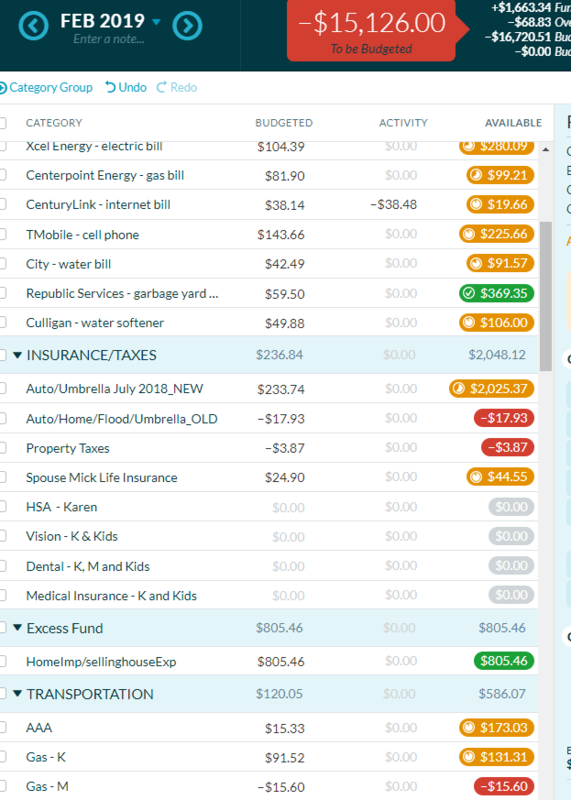 I have not entered any budgeted amount for FEB, yet, YNAB shows I have over $15k budgeted?? What is up with that? Could you post a screenshot? Are you sure this isn't just money that rolled over from January? e.g., if I budget $500 for car repair in January and don't spend any, that $500 (plus whatever was previously in the category) rolls forward to February. mamster but it would roll over to the amount Available right? Doesn't roll to the amount I am going to budget. Can you see the Feb and Jan screenshots? Feb seems to have 'autofilled'?? I don't even use some of these categories anymore and now there are budget amounts in them? Again, I have not entered any amounts in my budget fields...In fact, I am still needing to update my JAN budget with my end of Jan paycheck...this is weird. And how am I posting under the name Alice blue Banjo??? The forum software automatically generates a funny username. Here's what happened. You accidentally clicked on one of the Autofill buttons on the right side—probably "Average Budgeted" or "Average Spent". 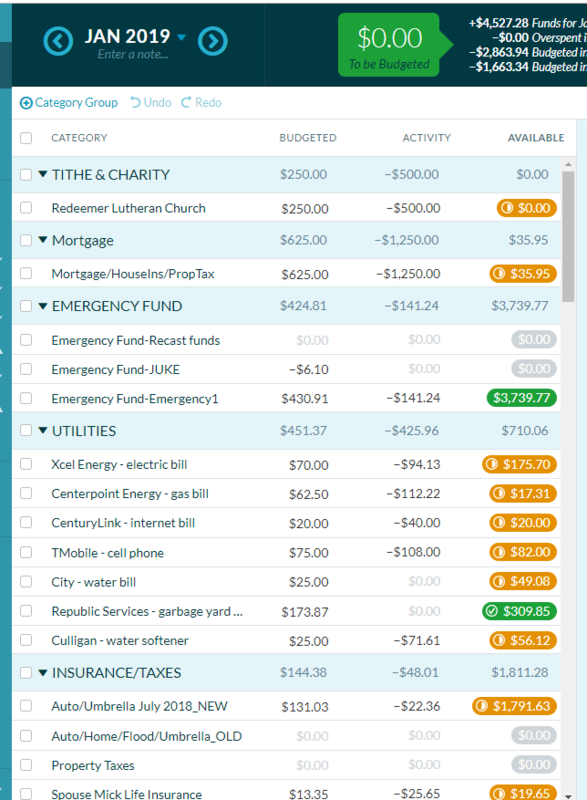 Luckily, this is easy to fix: click the top checkbox above your categories to select them all, and then click Reset Budgeted Amounts on the right. This will reset all your budgeted amounts (not your available amounts!) to zero. mamster Oh, and make sure you're looking at February when you do this so you don't accidentally reset your January budget. mamster Thank you sooooo much! I didn't know about the name thing! I was able to reset the Feb budget. (I can't believe I did that in the first place-ugh!). Again, so thankful for your quick response! !